We at Building Doctors have been saying this for a long time. 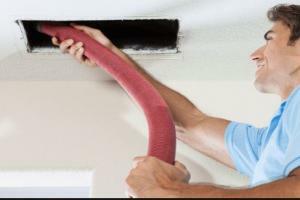 Cleaning your ducts is a waste of time in residential systems. If you have dirt in your ducts then you have leaks in your ducts. Depending on how old they are it is better to seal them up or better yet replace them after being redesigned.